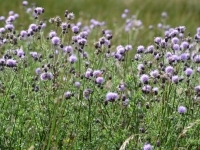 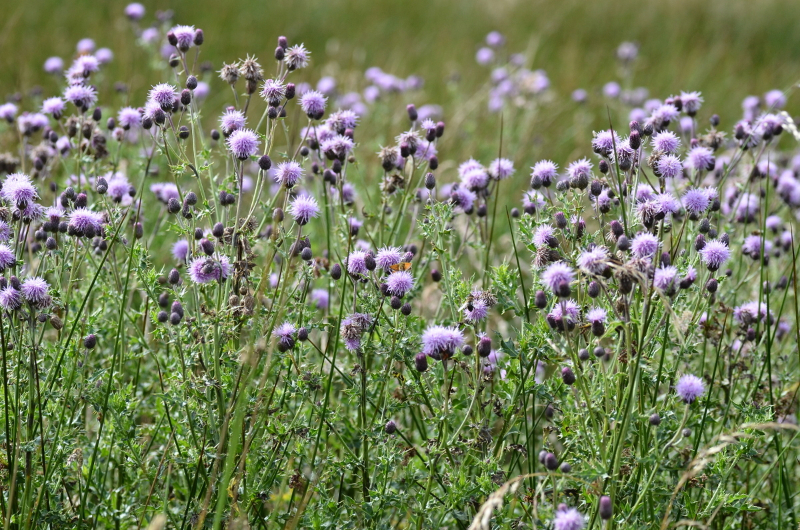 Just off the B6054 lies an area of wasteland where you can find a good crop of thistles in summer. 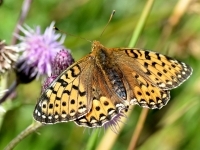 The actual grid reference is SK 2842 7762. 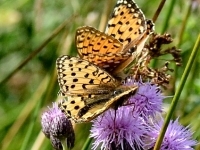 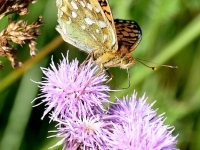 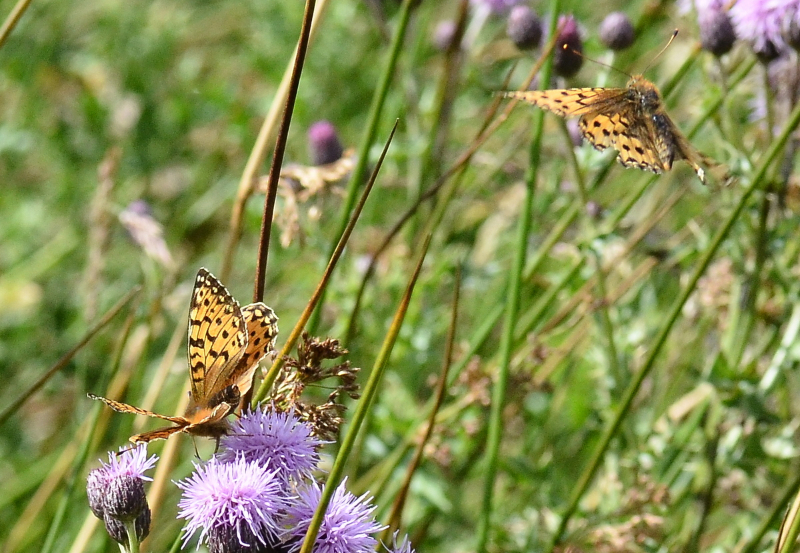 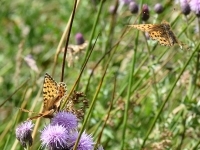 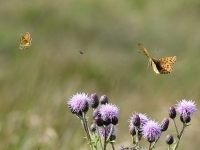 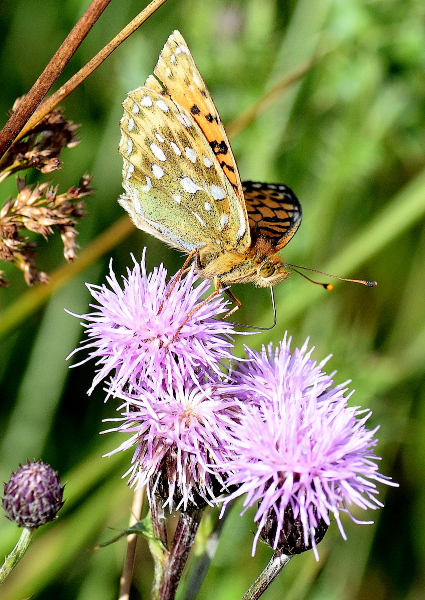 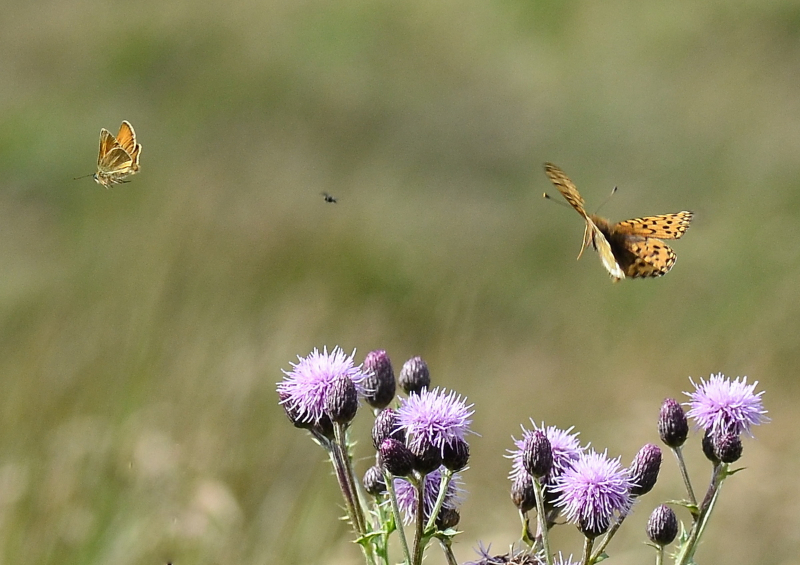 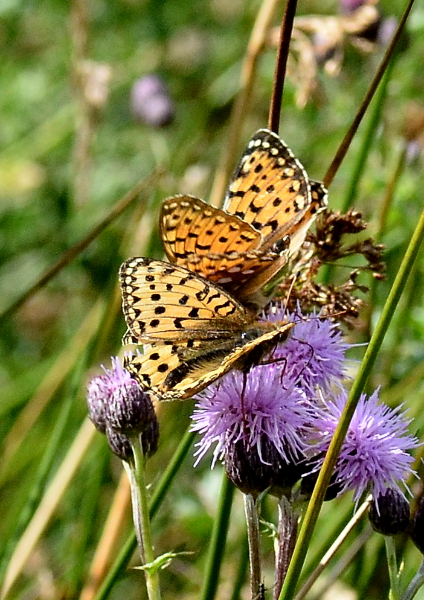 These thistles form a patch of heaven for some of our butterfly species, notably the dark green fritillary. 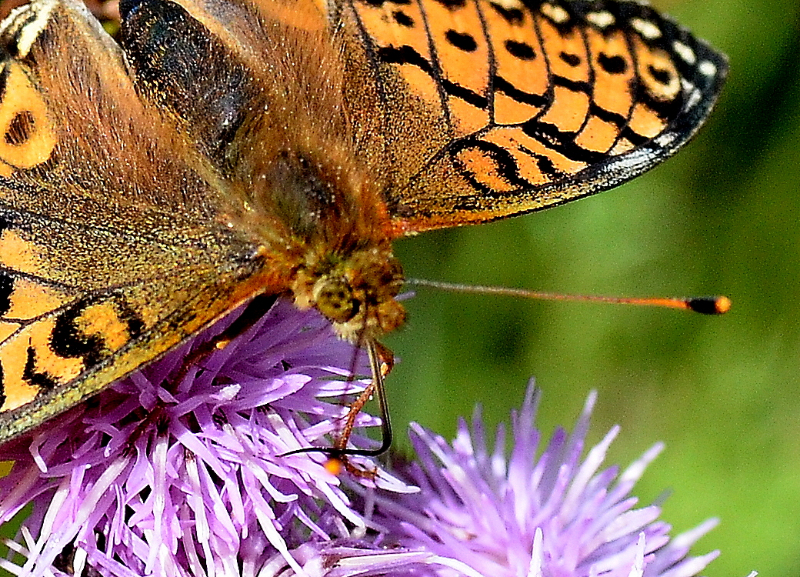 The only thing that is green about them is a green sheen on parts of the underwing. 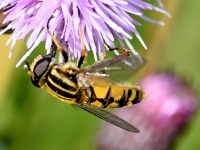 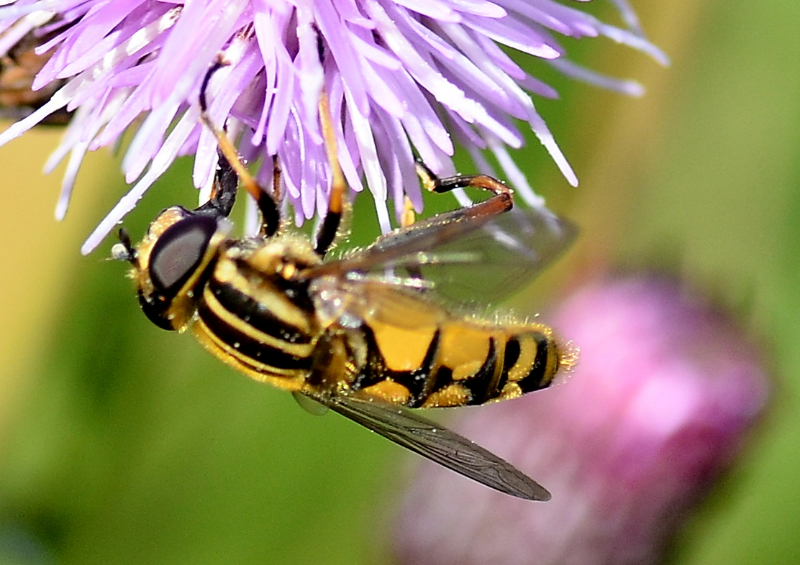 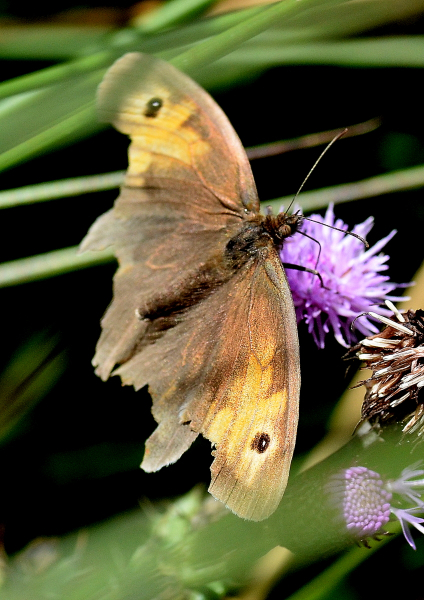 Here is a gallery of photographs taken in the summer of 2012. 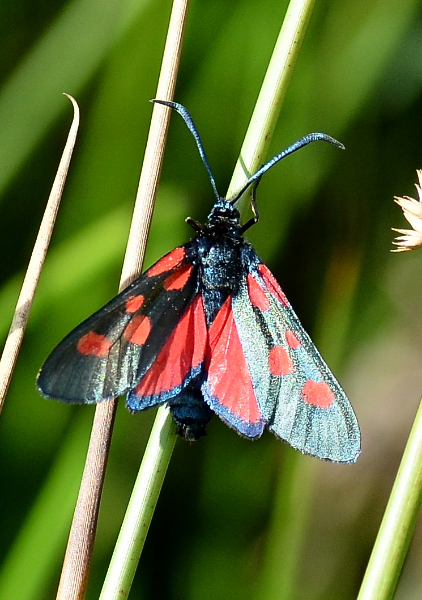 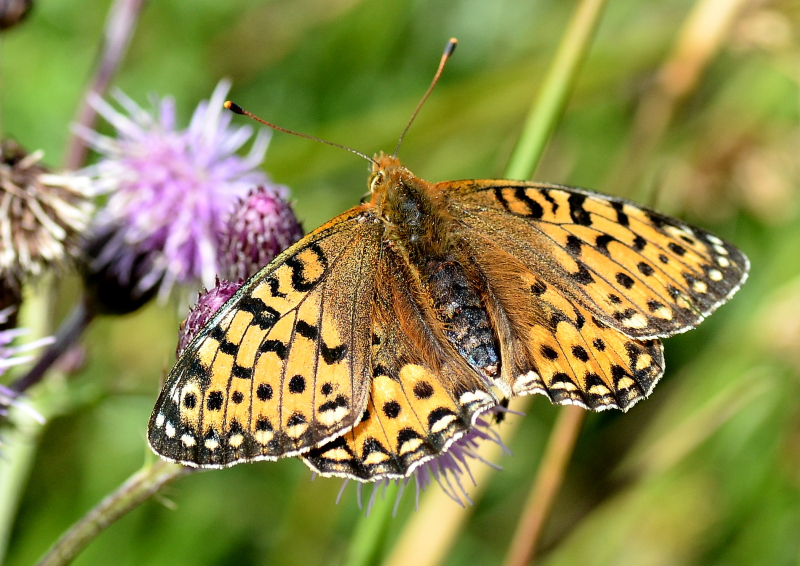 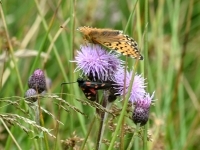 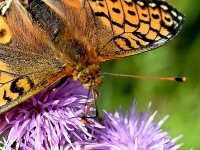 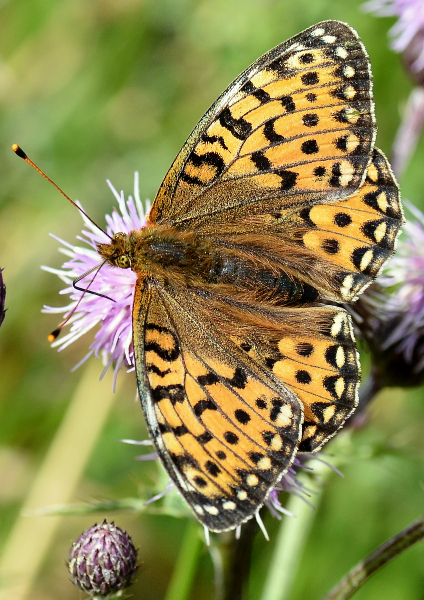 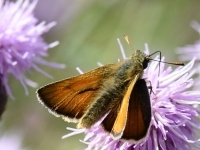 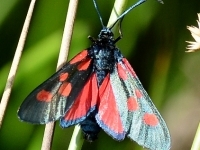 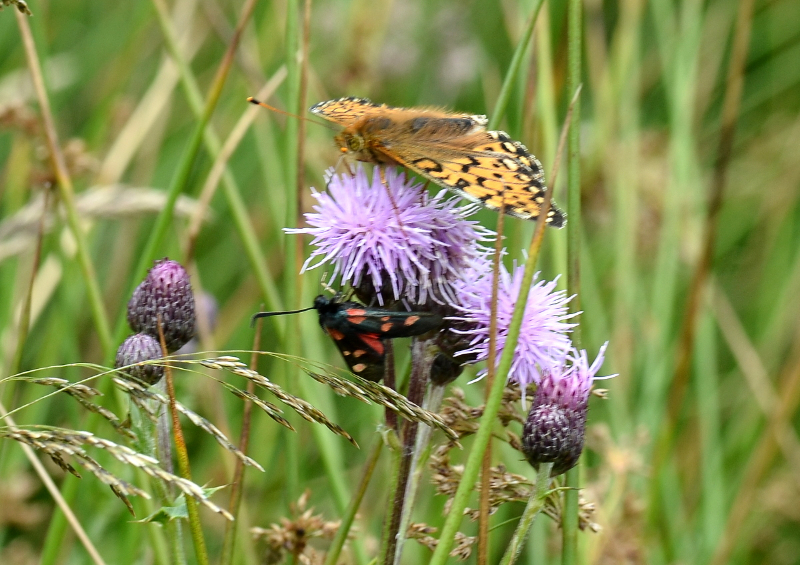 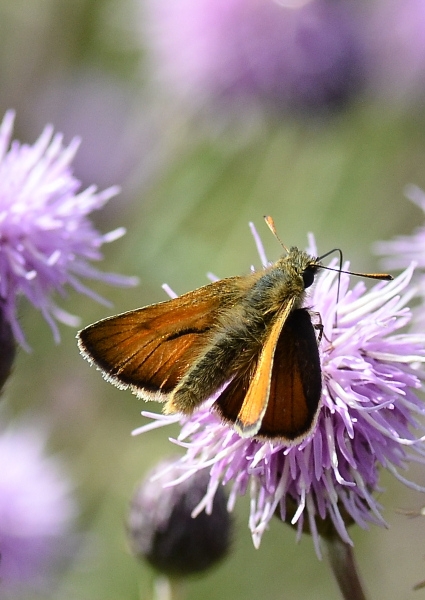 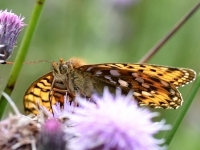 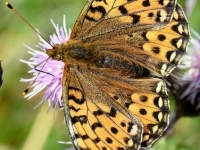 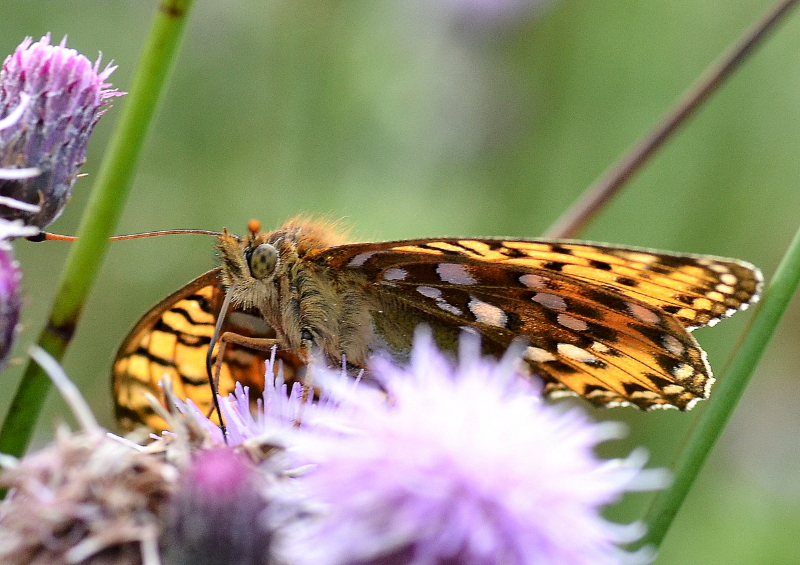 As well as the fritillaries this area is home to the five-spot burnet and the small skipper. 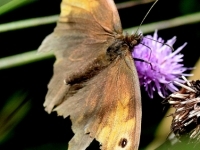 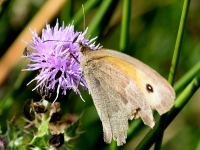 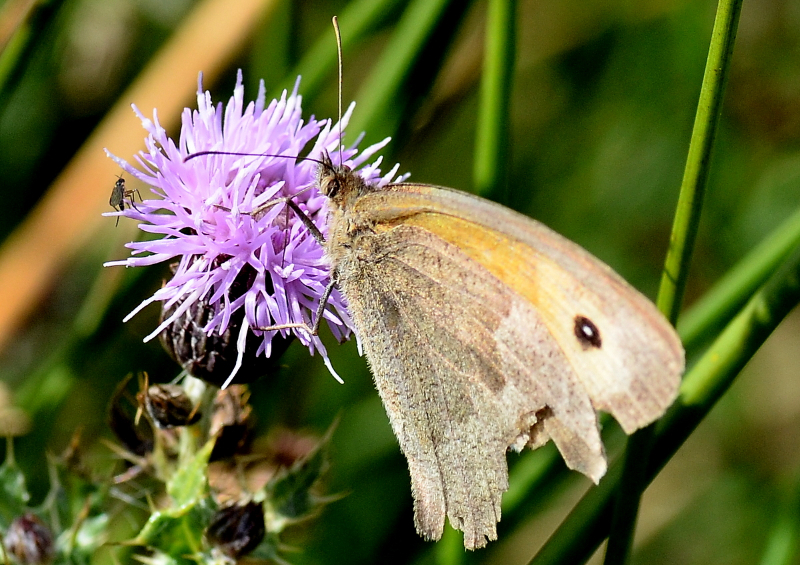 I have also included 2 pictures of a meadow brown which has seen better days!